Mahira Khan is a famous Pakistani host, actress and model. Azlan is the name of her six year old son. Her son lives with her after she was divorced by his husband. 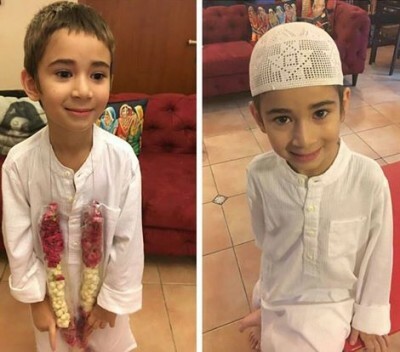 Mahira Khan’s son Azlan’s first roza kushai was held yesterday and you can few of the pictures of this ceremony below.